And oak and maple mask in bright attire. Knowing the morrow brings a snowy Lent. I hope you've been having a good start to the fall season and your bees are doing well! Here in Kansas, our bees are in good shape so far and seem to be experiencing a great fall nectar flow which doesn't happen every year. We've been lucky with the moisture and have had good rains this fall that will help with next year's nectar flow as well. One of the things I enjoy doing when I have a few spare moments is to read old issues of Bee Culture or Gleanings and of course American Bee Journal. I always find that while some things change, sometimes they remain quite the same, and there are many articles that are still very pertinent today. One very interesting article was from the October 1985 issue of American Bee Journal. It was written by Steve Tabor and titled, "High Pollen-Hoarding Honey Bees Could Help Honey Producers and Pollinators." The premise of the article is that it could be logically argued that beekeepers who have these bees in their hives should be paid a greater pollination fee than beekeepers having ordinary bees. I doubt this will ever be the case, but it could be that these pollen-hoarding bees might just collect a lot more pollen for those beekeepers attempting to raise pollen instead of honey. I have thought about this for years, as I know I can make more dollars with pollen than I can with honey as our market for pollen is growing very fast. I have seen these bees throughout the years and know that I live in a pollen-rich area. They will just pack out all ten frames in the bottom brood chamber with pollen, and I've had to remove these frames at times to give empty frames to the queen for laying. I really believe these genes are in a good number of our queens, and it might be that we can raise "pollen hoarders" for the specific purpose of increasing pollen produced by each colony. Scientists at The Ohio State University recently published a report that they selected bees for this trait of collecting and hoarding pollen. After just four generations of selection, the lines that hoarded large amounts of pollen collected four times the amount of pollen as other hives. The work was done by Walter Rothenbuhler, Jovan Kulincevic and Richard Hellmich and published in the Journal of Heredity in 1985. The publishers thought so much of the article that they put a picture of a frame of pollen on the cover of the magazine. Steve did note that the queens in the study were artificially inseminated. It would take perhaps a bit longer using open-mating techniques, but it could be accomplished. So, I may take off on a tangent next spring and attempt to produce pollen-hoarding bees and increase our pollen available for sale. I always enjoy looking back on our industry history and seeing how much has been going on in areas you might never have considered. This month in ABF E-Buzz, we have an update from President Tim May about his recent trip to Washington, D.C., where he met up with Past President Gene Brandi to take part in the annual NAPPC Conference and attend meetings with the USDA Forest Service. While there, they participated in the Pesticide Education Task Force. This task force has done a lot of great work and has shareholders working together from all sides of the pesticide issue to help minimize exposure to honey bees and all pollinators. Vice President Joan Gunter has an update on legislative issues and reports that we have filed a petition that requests an exemption for livestock haulers from certain provisions of the Hours of Service Regulation of the U.S. Department of Transportation, Federal Motor Carrier Safety Administration. She is also actively working on the added-sugar labeling issue and hoping we can get some changes through on this major problem for the industry. 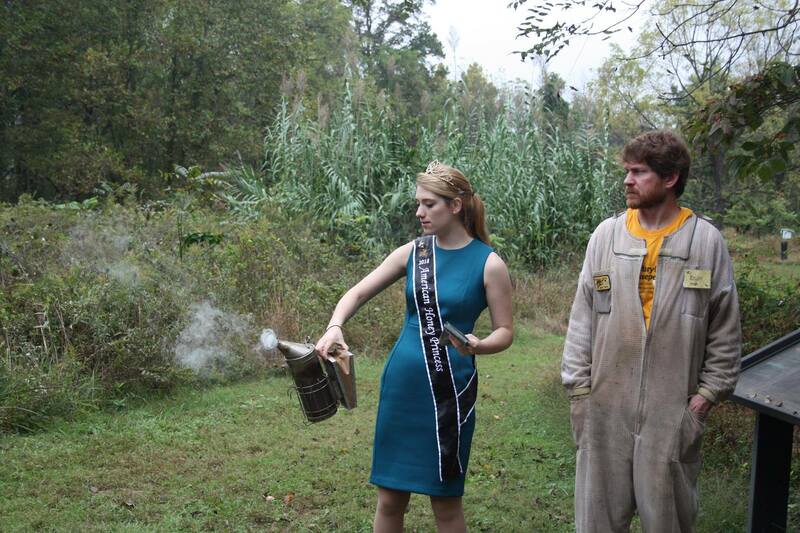 We, again, have an update from American Honey Queen Program Chair Anna Kettlewell with reports on the activities of our Honey Queen and Princess. 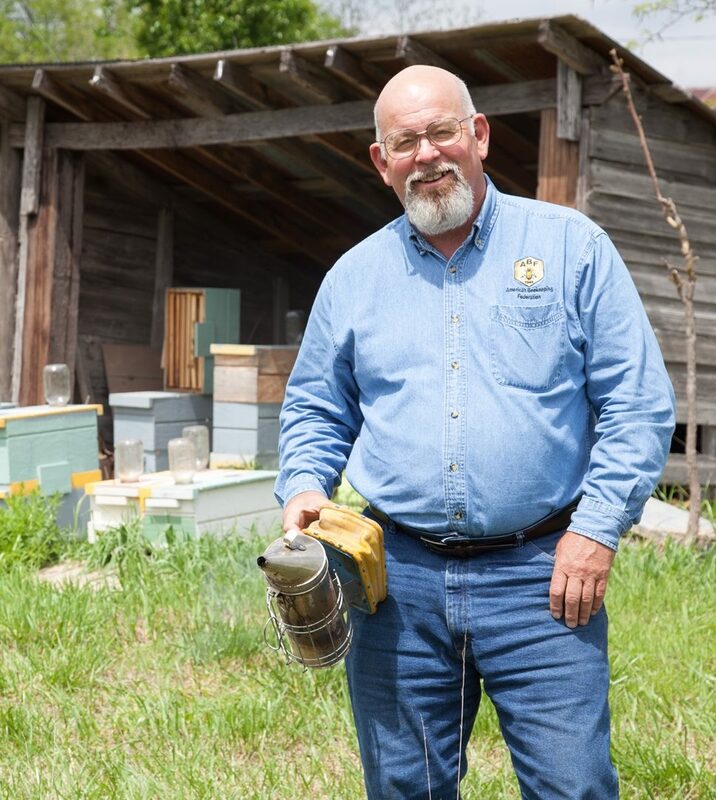 They have been busier than ever working to represent our industry and increase the depth of the reputation for honey to the public. We really owe a great deal of gratitude to these young ladies who give up a year of their lives to educate and inform the public. Sarah Red-Laird has been busy educating kids about bees and has included some great links to pictures from some of the Kids and Bees activities of the past couple months. We have also included some links to great new Buzzmakers along with a terrific recipe for you to try in your kitchen. We hope you enjoy your time spent here with us once again. Until next time, have a great month, and I hope your bees are all fat and happy with their winter stores! If you have anything you would like to add to our November issue of ABF E-Buzz, please drop me a line at tuckerb@hit.net. I just want to remind all ABF members that early-bird registration for the 2019 ABF Conference & Tradeshow in Myrtle Beach, South Carolina, will expire on October 31. This conference will have some of the best presenters ever with many other exciting events planned. This is a can't-miss event, so register now and receive the discount before it's too late. 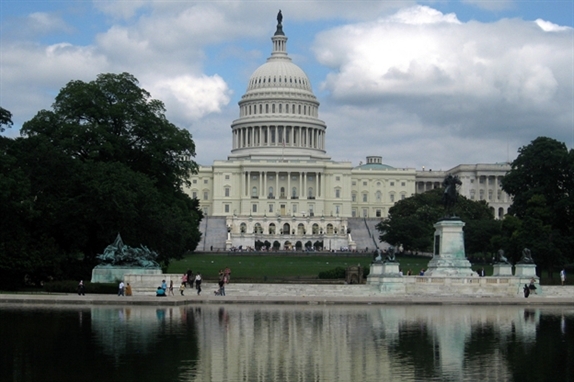 I just returned from another trip to Washington, D.C. This time, I met up with ABF Past President Gene Brandi. We met with the USDA Forest Service and attended the 18th Annual North American Pollinator Protection Campaign (NAPPC) International Conference. Our meeting with the USDA Forest Service was arranged by AHPA representative, Eric Silva and hosted by Mark Chandler, Reality Specialist of the USDA Forest Service. Gene, Chris Hyatt (AHPA), Kelvin Aidee (AHPA), Fran Boyd (Meyers and Associates) and I represented the beekeeping industry in this round-robin discussion. The main topic of our discussion was access to public lands for managed honey bees. Part of the 2015 National Strategy is to increase this access in order to help honey bees with better nutrition through safe and healthy forage. We received some encouragement when Forest Service representatives agreed to look into the current registration policy for beekeepers and attempt to make registration timelier. They also agreed that communication between upper-level Forestry Department officials and local forest managers must improve and be more consistent. The Forest Service would like specific examples of beekeepers being asked to leave public land and the reasoning as to why. If you are a beekeeper who has had issues with local land managers with the Forest Service, please let us know. We will send this information to the USDA Forest Service and attempt to solve the problem. The Forest Service would like to work with beekeepers whenever it can. It was an encouraging meeting and a step in the right direction. The NAPPC conference included presentations from all pollinator groups as well as pollinator garden groups on topics ranging from neonic research to how climate change is affecting pollinators. I was given a few minutes to talk about the current condition of commercial beekeeping in the U.S.
Gene and I also participated on the Pesticide Education Task Force which includes EPA, Fish and Wildlife Service, USDA, bee researchers, a member of the Almond Board and a representative from Syngenta. We discussed the need to educate growers, applicators and the general public on how to read pesticide labels—mainly the environmental hazard and bee advisory box. YouTube videos along with phone apps and brochures are some of the methods we plan to use for this education. Adjuvants, how they are mixed and how these mixtures are affecting pollinators was also on our agenda. The task force will gather all the current information regarding adjuvant use and will come up with methods to educate the users of these products. We are also requesting more research on these products. The NAPPC conference wrapped up with reports from all the task forces and the goals for these groups over the next year. Winter hit early in the Dakotas. Inches of snow fell in the beginning of October and has continued blanketing our region. What happened to our traditional Indian Summer? No one seems to know! However, the southern states seem to be having a heat wave. We experienced 95-degree temperatures in mid-October. This is uncharacteristic for this time of year. It just goes to show that we are not in charge of these things but, instead, the relentless recipients. It keeps us all young! Fran Boyd, Meyers and Associates, reports that we have filed a petition that requests an exemption for livestock haulers from certain provisions of the Hours of Service Regulation of the U.S. Department of Transportation, Federal Motor Carrier Safety Administration. Now that it is filed, we simply need to wait and see what happens next. I have had some calls on the added-sugar labeling issue. We are working hard to get some legislative relief on this issue. Our coalition is working on this daily. To quote Fran, "It is very frustrating that something that makes sense to everyone is so hard to get fixed." As more news surfaces, you will be the first to know. Palmer Amaranth is in the forefront once again. As you are out and about this fall, keep an eye out for it. It is a noxious weed that is very difficult to control. The northern states are asking hunters and landowners to report any sightings to their local county extension agents. The southern states are aware of this weed but are still trying to stop its progression. Submissions received in our call for graduate scholarship applications are being processed. We will soon have an award announcement. The trustees are developing the topic for the upcoming 4-H essay competition which will be released next week. They have also agreed to be a part of the FFA scholarship program again this year. The foundation continues to move forward to promote education and research. The ABF Conference & Tradeshow is coming together beautifully. Myrtle Beach has escaped the flooding and hurricanes and promises to be a fantastic venue for 2019. If you haven't already, sign up and join us. You can still get in under the early-bird registration deadline. Early-bird Registration Ends October 31: REGISTER TODAY! Have you started preparing your colonies for winter? Dead hives in early spring is discouraging and costly. This webinar discusses the steps you should be taking and why it is important to start taking them now to improve your survival odds. Scientific research provides the foundation of knowledge we rely on to understand honey bee health threats and address them. Project Apis m. and the National Honey Board are requesting research proposals to support and enhance honey bee health. Proposals will be accepted between October 4 and November 10, 2018. Please visit www.ProjectApism.org/rfps to view the full RFP. In June 2016, Project Apis m. (PAm) and the National Honey Board (NHB) announced that PAm would begin administering NHB's production research funds in 2017. This collaboration has streamlined efforts to support the beekeeping industry by merging the NHB research funding opportunities with several other efforts coordinated by PAm. In September, I shared that I had been so lucky as to join the staff at the Montana Farmers Union Youth Camp to teach campers all about bees! If you missed my story, click here. Last month, I shared how I got kids to love eating their veggies by offering them delicious organic, locally-farmed choices and tying the wonders of bee pollination into the snack. Aside from the tasting table, I tried another new technique for getting kids excited about bees—encaustic art postcards! I’ve done encaustic art (painting with beeswax) with kids before, but this time, I tried to make it a bit more personal. I bought blank water color postcards which you can find at your local art supply store or on Amazon. Then, I followed Kim Lehman’s directions in her book, Beekeeper’s Lab: 52 Family-Friendly Activities and Experiments Exploring the Life of the Hive, on how to make and paint with colored beeswax. Yes! I made my own beeswax crayons, and it was so fun. We handed out blank postcards to the kids and helped them address the cards to whomever they wanted—mom and dad, grandma, auntie, etc. We told them to write whatever they wanted on the card. When they were finished, they flipped it over onto a griddle (covered in tin foil, set to about 150 degrees). 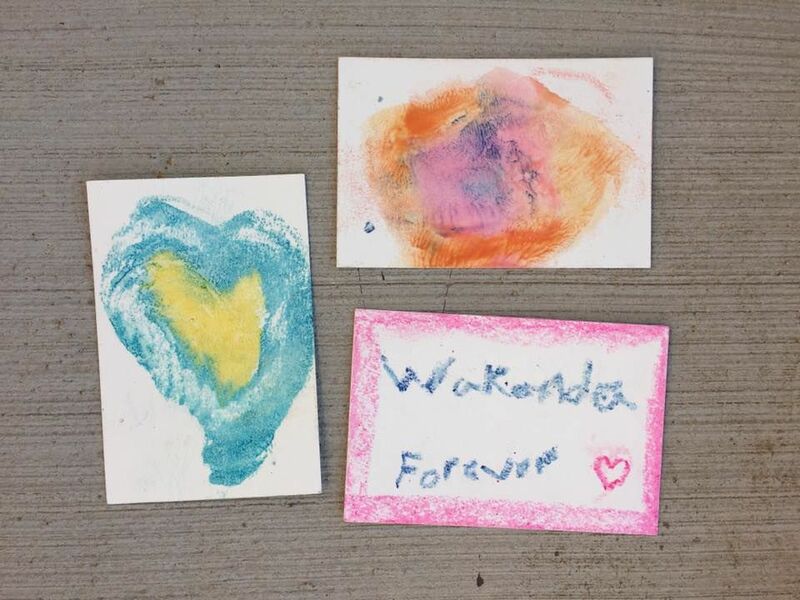 The campers pulled on thick cotton gardening gloves (to not burn their fingers), and then used the heat of the griddle to melt the beeswax crayons and create all sorts of gorgeous designs. Once they were dry, we stuck a stamp to them, and the camp director mailed them during a trip to town. I was so impressed with the level of artistic talent in the group and completely touched with the notes to home. They seemed to get a kick out of painting with real beeswax and liked doing a bit of reflection on their week to write home about. A common theme in the notes was honey tasting straight from a beehive and holding a drone bee. Every group that I took out to the teaching apiary got to hold a drone, as long as they named him! We had a Carl, an Earl, a Stewart and a few other hilarious names that I have forgotten by now. Naming drones and creating a little piece of keepsake, bee-themed artwork are a couple of things that you, too, can do to slyly encourage your children, campers or students to be smitten with bees. See more photos from my week at camp here. 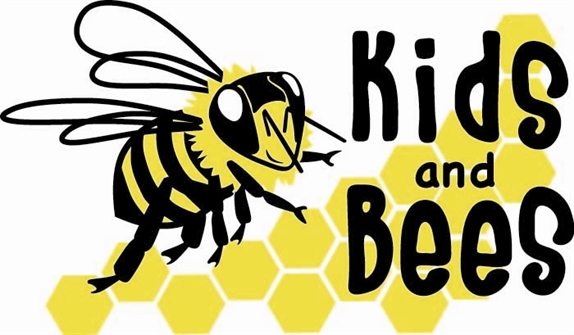 Also, our large, annual Kids and Bees event at the 2019 American Beekeeping Federation Conference & Tradeshow is coming up fast! We’re looking for about 50 volunteers to help teach kids all about bees during the event in Myrtle Beach. For more information on volunteering, or to sign up, contact Mackenzie Brubaker at mackenzie@beegirl.org or 541-709-1127. 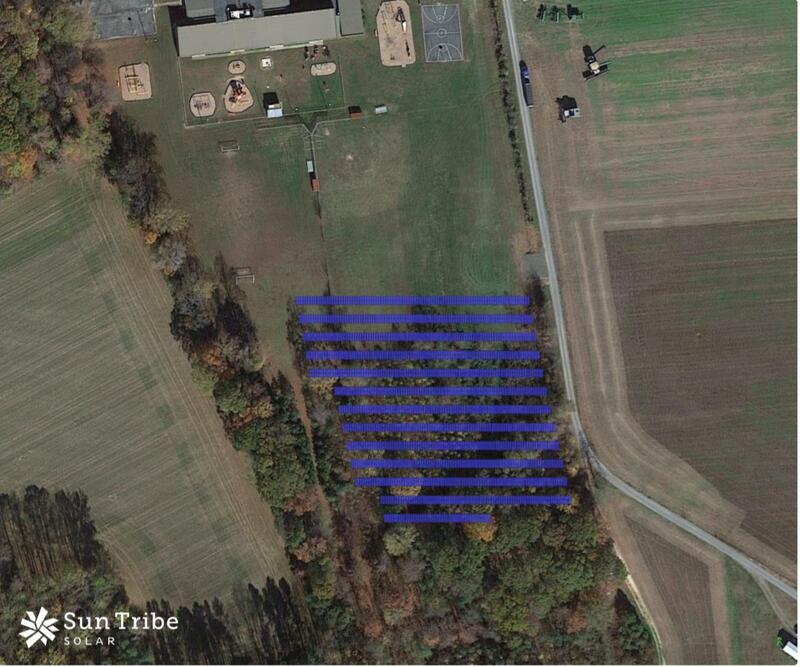 Sun Tribe Solar announced that it has been selected by Westmoreland County Public Schools to enter into a solar power purchase agreement to meet 100% of the energy needs of Cople Elementary School. The project pairs solar with agriculture and conservation efforts using a pollinator-friendly approach. The array will produce an estimated 1,162,644 kWh per year offsetting the buildings carbon footprint by 865 tons of CO2 annually, saving the school $3.6 million over its lifespan. 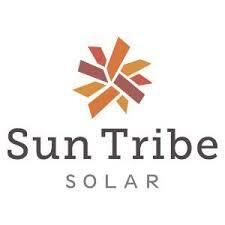 The array will require no upfront capital investment from Westmoreland, as Sun Tribe Solar will be funding the system through a Power Purchase Agreement. The pollinator-friendly approach is a recent effort to expand the ecological benefits of solar development. Traditionally, solar farms are positioned along gravel or turf fields. As an alternative, wild flowers and other host plants can be planted underneath or around the panels, offering a multitude of conservational and economic benefits. With increased habitats for pollinator species, bee and other populations are able to grow, thus benefiting surrounding agriculture development. These plants also offer an improved visual aesthetic of solar infrastructure for the nearby school. In this project, the flowers will be positioned right beside the solar array, and Sun Tribe Solar will be planting several different types of seeds mixings in an effort to better understand the most effective methods. Sun Tribe Solar has been working with Virginia schools to provide affordable alternatives for solar energy and is proud to be working with Westmoreland Schools in offering unprecedented savings with this first of its kind project. This project follows closely on the heels of Sun Tribe's 1.01 MW project with Middlesex County Schools, which meets 95% of the electricity needs of two of their schools. 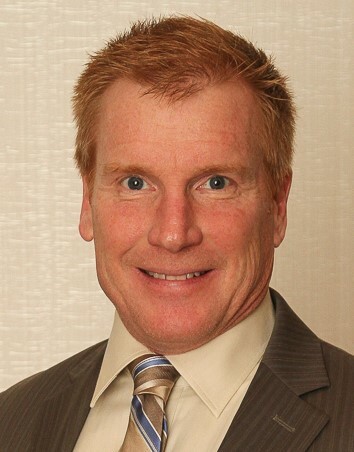 Dr. Michael Perry, the superintendent for Westmoreland County Public Schools, explains, "With no upfront costs to the school system or county and substantial lifetime savings, this is a huge win for Westmoreland County Public Schools. We look forward to integrating this project into our curriculum and providing the students with hands-on learning opportunities. This project also symbolizes the progressive and forward look of our administration and school board." Fall is officially in the air! October brings forward so many additional promotional opportunities for our industry. Fairs and festivals begin to wind down in October, but the queens still made several stops to fairs throughout October. Kayla made stops at fairs in Massachusetts, Georgia and Texas, and Jenny visited a festival in Maryland. Each venue highlighted the fall harvest, and honey is a great part of those harvests. 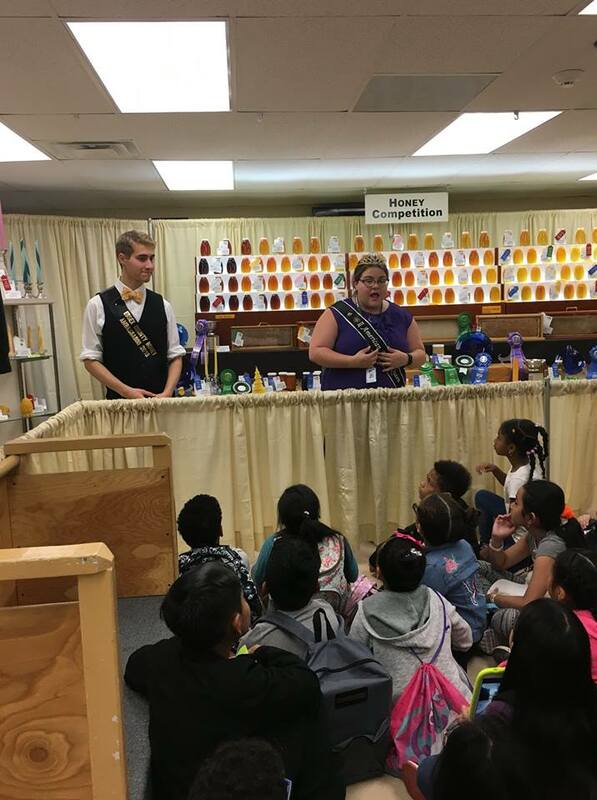 Each event was filled with different promotional tools, from rolling beeswax candles and showing off the observation hive to extracting demonstrations, cooking with honey demonstrations, honey sales booth work, educational presentations and much more! Thank you to all our fall promoters for keeping Kayla and Jenny in mind for your events this year. With school back in full swing, the queens can get back into more educational events throughout the country. One of the biggest events in which the program is involved is Ag in the Classroom programs in conjunction with the Northern International Livestock Exposition (N.I.L.E.) in Billings, Montana. Each year, thousands of students from the Billings area descend upon the N.I.L.E. before the evening rodeos to learn about different types of agriculture in their state from different commodity representatives. For decades, the queens have visited this event and always make a significant impact on young students about honey bees and beekeeping. In addition to this great event, the queens stop in schools in conjunction with many of their fair promotions. Other venues that are great for educational presentations and events are local libraries. Kayla gave a presentation at one of her local library programs for children during a brief few days back in Pennsylvania in late October. Finally, school presentations given by the queens can significantly impact your events as they can promote your events during their school presentations. In Wisconsin, I invite the American Honey Queen or Princess to give community presentations to local elementary, middle and high schools, civic organizations, girl scout troops, 4-H clubs and Boys/Girls Clubs in addition to providing media interviews in an effort to promote attendance at the Wisconsin Honey Producers Association’s Kids N Bees Expo. Thanks to the great work of the queens, our event (after five days of presentations) will draw hundreds of local children to our convention venue to learn even more about beekeeping in a hands-on fashion. Travels will continue for the queens through November and December, and we are taking requests for 2019 events now! Please contact me at 414-545-5514 or honeyqueen99@hotmail.com. Happy promoting! Image of the Day: What Does a Bee See? Agriculture Secretary Sonny Perdue says thank you to farmers, ranchers and producers who responded to the USDA Census of Agriculture, a valuable tool for creating policies that help rural America and agriculture. The USDA Census of Agriculture is a complete count of America's farms and ranches and the people who operate them. Taken every five years, the census provides valuable information used at the local, state and national level to plan for the future. Cream honey and butter, blend in eggs, vanilla and apple sauce. In separate bowl, combine dry ingredients, then stir the wet ingredients into the spices and flour. 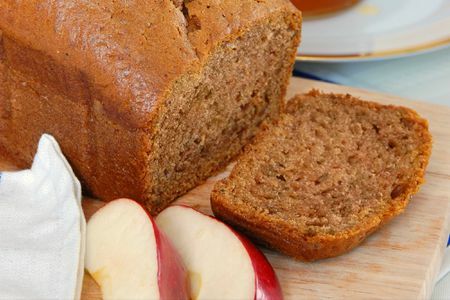 Pour into a greased oblong pan and bake in 325-degree oven for 35 to 40 minutes.